Police in Union Beach, New Jersey are raising awareness about a surprising and potentially dangerous discovery. 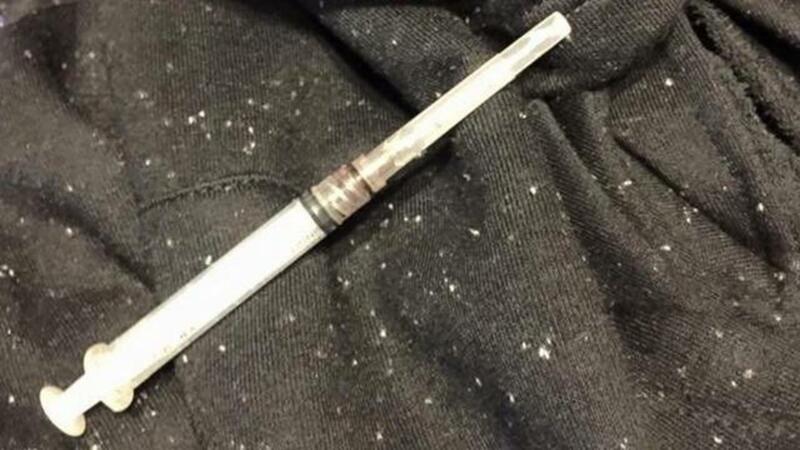 An individual found a used hypodermic needle in a hoodie they bought at an area Target. Authorities shared a photo of the alarming find on Facebook and commented, "SAFETY ALERT: well everyone, in what I'm sure we all hope is an isolated incident and/or a freak accident and not some sick prank..."
They also noted the store would have not had a way to know about the syringe and are urging consumers to exercise caution. The department asks any such discoveries be reported so the public can, "Help the Police get this trash off our streets."